Most people already know that they should visit the dentist every six months for regular checkups and professional cleaning. However, what a lot people don’t take into consideration is that they may have to visit their dentist every now and then for treatments that go beyond a routine cleaning. 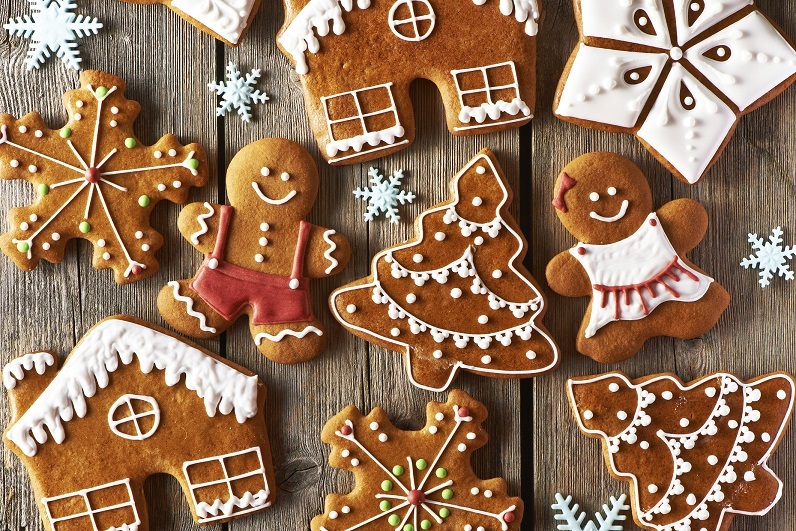 This may involve dental restorations, which are different types of dental treatments. This type of dental treatment involves the restoration of either decayed, chipped, cracked, discolored or missing teeth. 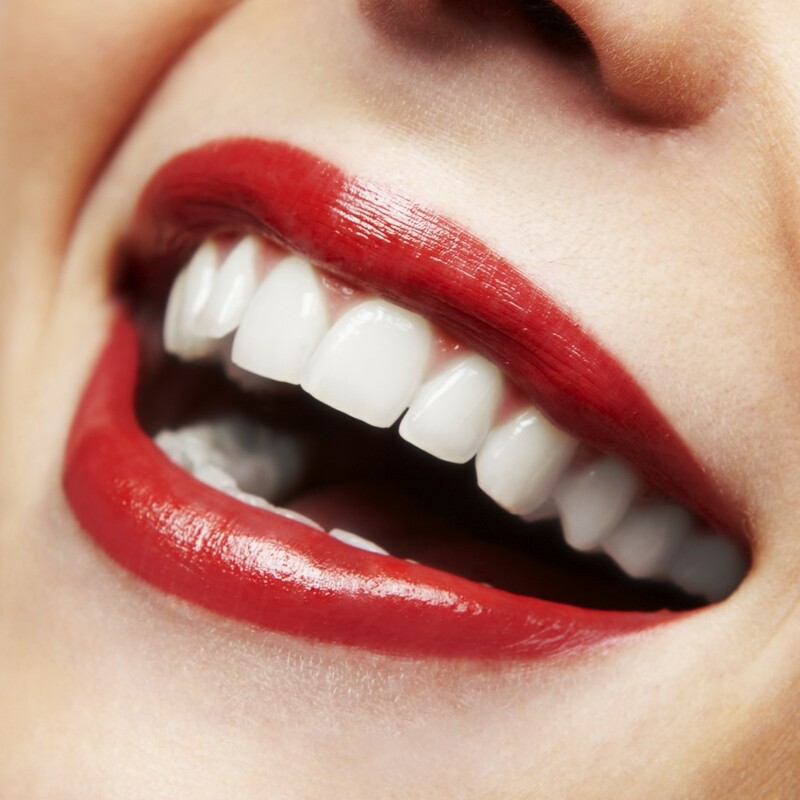 The typical dental restoration treatment options include fillings, crowns, bridges and dental implants. 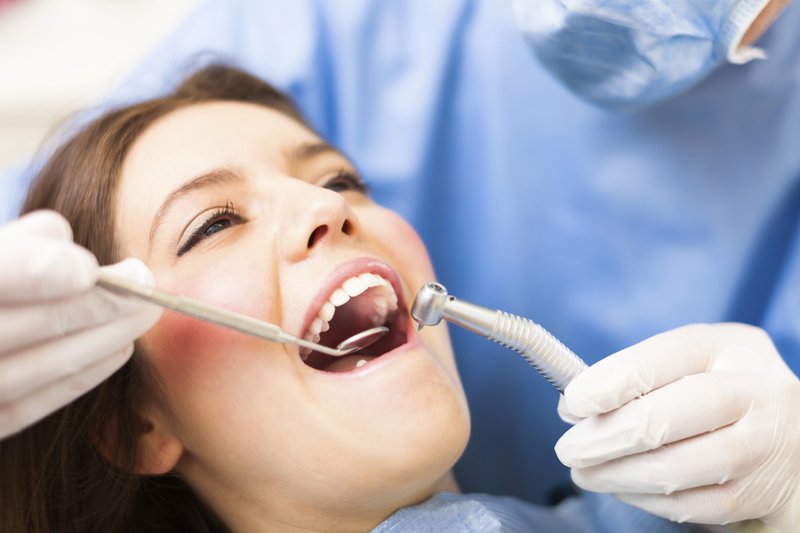 Fillings- This is the most common type of dental restoration. Teeth with cavities or tooth decay can either be filled with gold, silver amalgam or composite resin fillings. Crowns- This restoration is essentially a tooth-shaped cap that’s placed over a damaged tooth. It’s done to restore the tooth’s shape and size, strength, appearance, to hold a dental bridge or to cover a dental implant. Dental Bridges- Bridges are false teeth that are fabricated to fill a gap due to one or more missing teeth. They are anchored on either side of the missing tooth by the crowns and cemented into place. 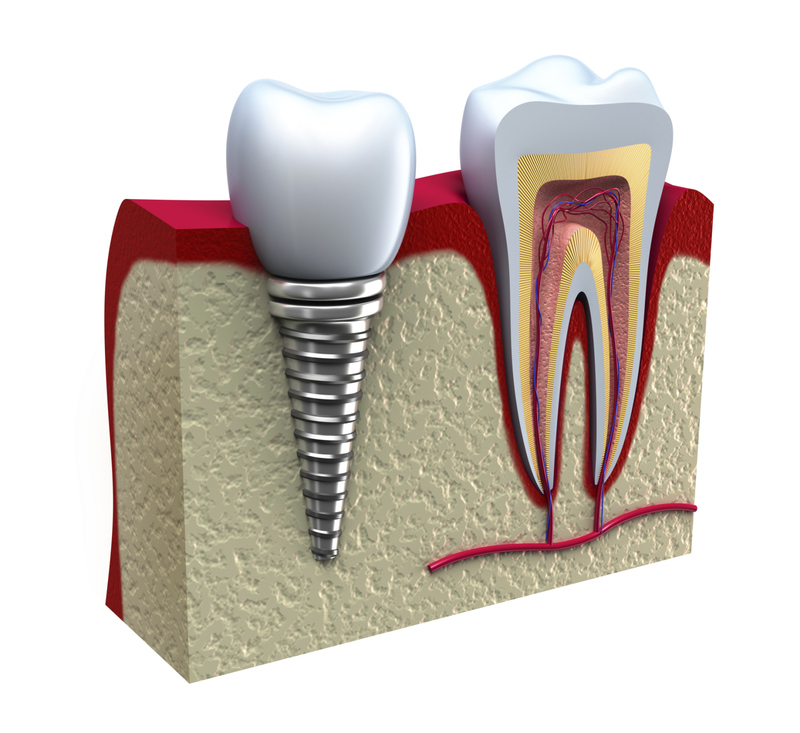 Dental Implants- Dental implants are replacement tooth roots. The actual implant is a small post made of metal that’s placed into the jaw bones where the tooth is missing. The implant itself is covered with a replacement tooth. Dentures- Dentures are removable dental appliances for missing teeth. They’re made out of acrylic resin and metal framing. Complete dentures replace a full set of teeth, either top or bottom, while partial dentures only replace a few missing teeth. 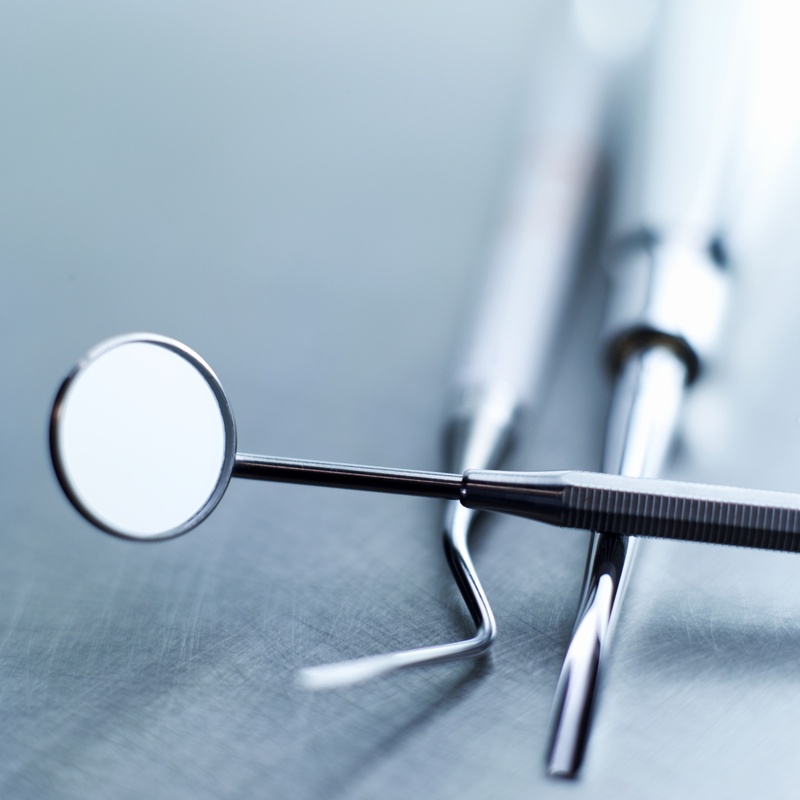 Why are Dental Restorations Important? When it comes to dental restorations, you can essentially sum up the importance of them in two words- prevention and restoration. As far as restoration goes, they restore both the function and aesthetics of damaged or infected teeth. When people have damaged, infected or missing teeth it could lead to speech problems, problems eating and even lowered self-esteem. Dental restorations can help restore all of those problems. Also not only do dental restorations allow dentists to treat teeth, they also prevent present infections from spreading any further. Another plus about dental restorations is that they don’t just restore function and improve oral health, the different procedures also aim to improve the aesthetics of patient’s teeth. Having your damaged, infected or missing teeth restored or replaced doesn’t mean that you don’t have to worry about dental problems reoccurring. No matter what type of materials are used to restore or replace your teeth, bacteria and plaque will still form around the restoration. 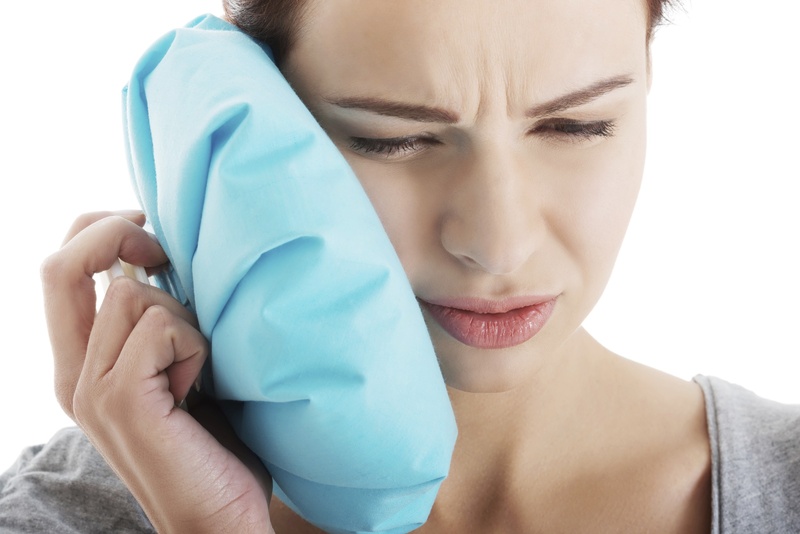 The chances of such dental problems happening again is even higher if you don’t take proper care of your teeth. Good news is that you can control and minimize bacteria and plaque buildup in your mouth with proper oral hygiene. Proper oral hygiene involves brushing your teeth with a soft-bristled toothbrush twice a day for two minutes each time and flossing as least once a day. You can also use antimicrobial mouthwash to help further rid your mouth of excess bacteria and plaque. While dental restorations are very effective in restoring your teeth, you still need to make an effort to take care of them. Main reasons beings that, apart from the costs, dental professionals may no longer be able to treat or reverse the effects of certain kinds of dental problems, such as advanced periodontitis. If you are interested in restoring or replacing your damaged or missing teeth with the help of dental restorations, contact Dr. Patrick Simone, DDS in Henderson, NV at 702-735-2755 to schedule a consultation today. Or visit www.patricksimonedds.com for additional information regarding restorative dentistry.